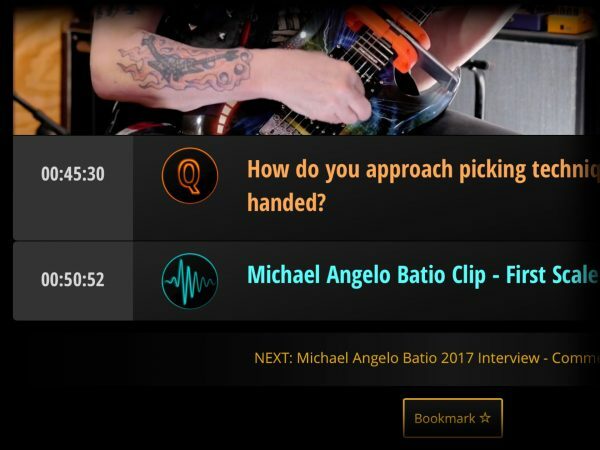 Longer videos like lessons, seminars, and interviews are displayed on their own specialized pages. You’ll recognize videos right away in our directory listings, because they’re displayed with thumbnail images. 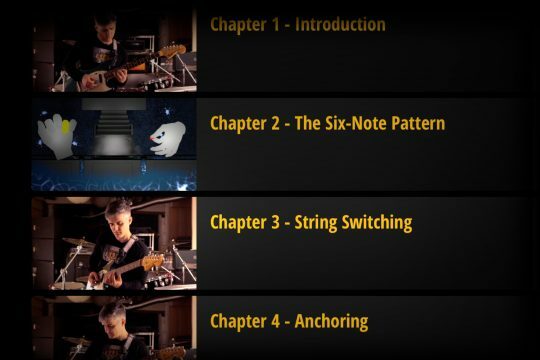 If you’re a Basic member, check out the videos with outlined thumbnails – those are playable by everyone. We built this feature to make it easier to test drive the platform before you’ve plunked down your hard-earned cash. At the top of each video page, you’ll find the player section. 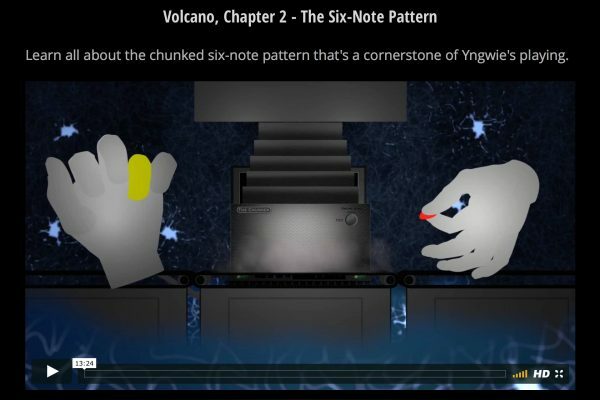 We use Vimeo, and their player is pretty simple and straightforward to operate. Below the player, navigation links let you move forward or backward in a sequence of videos. And a “Bookmark” button lets you store a link to the current page for quick reference. 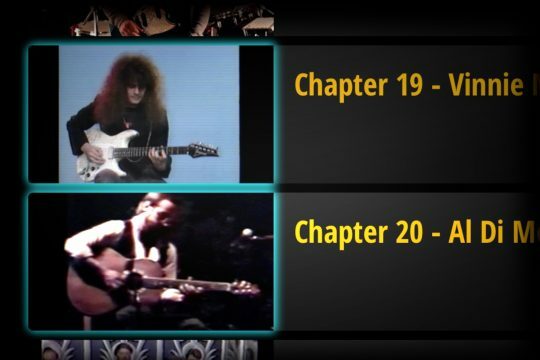 Below the video player is the timeline, a chronological list of musical clips, questions, and tags in the video. Just click the time button on each row to seek directly to that part of the video. 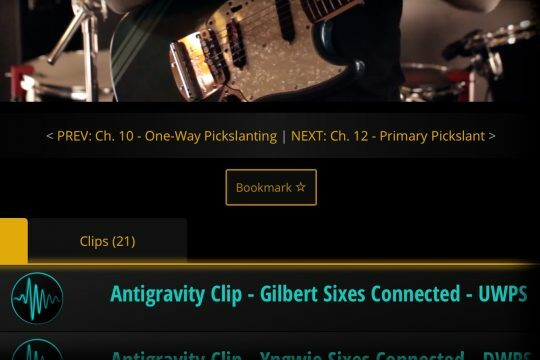 In addition, clicking the title of a musical clip will take you directly to a Clip page where you can view notation and slow-motion video. If you only want to see one kind of timeline event, we’ve got you covered. 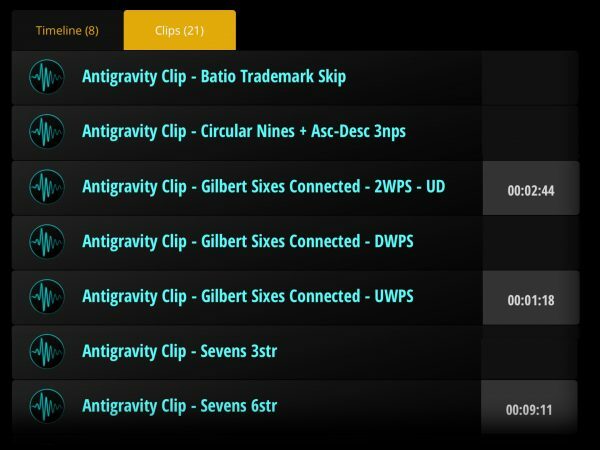 Just click the icons at the top to filter out any combination of clips, questions, and tags. When a video is playing, currently active timeline events will display in a slide-out tray right below the player, so you’ll always know what you’re watching. 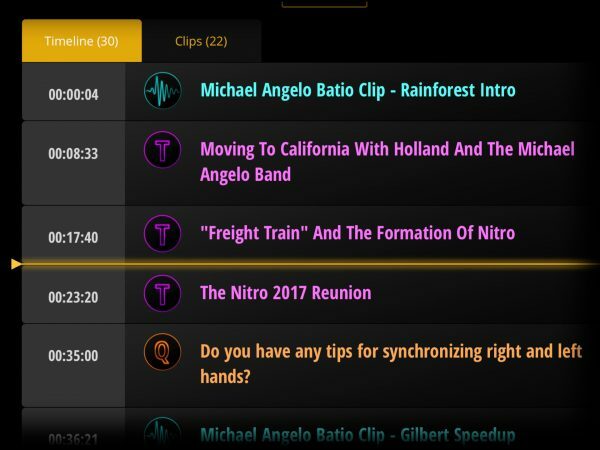 You can use the time display as a rewind button, to go back to the beginning of a musical clip, question, or tag. Cool! Keep an eye out for start-time alerts above the video player. These appear the first time you click a time button on any page, and also when you click through to a video from a time marker on another page. 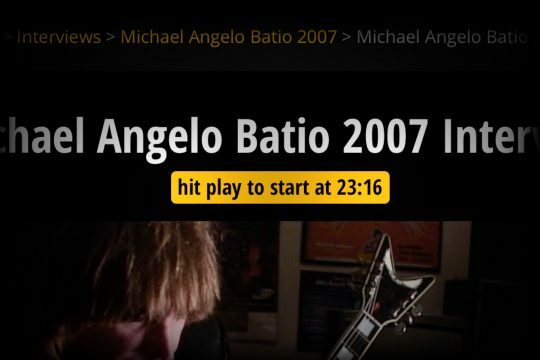 Just hit play and the player will take you right to your requested start time. Lessons like our seminars often include additional musical examples which are variations of those discussed in the video. 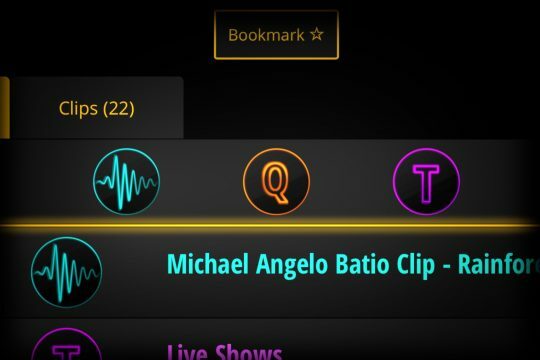 Visit the clips tab for the complete list. They’re sorted alphabetically for quick reference. And clips that do appear in the timeline will still have time buttons. If a video has notes, you’ll see a tab for those too. We’ll continue to add more of these helpful hints as the platform grows.